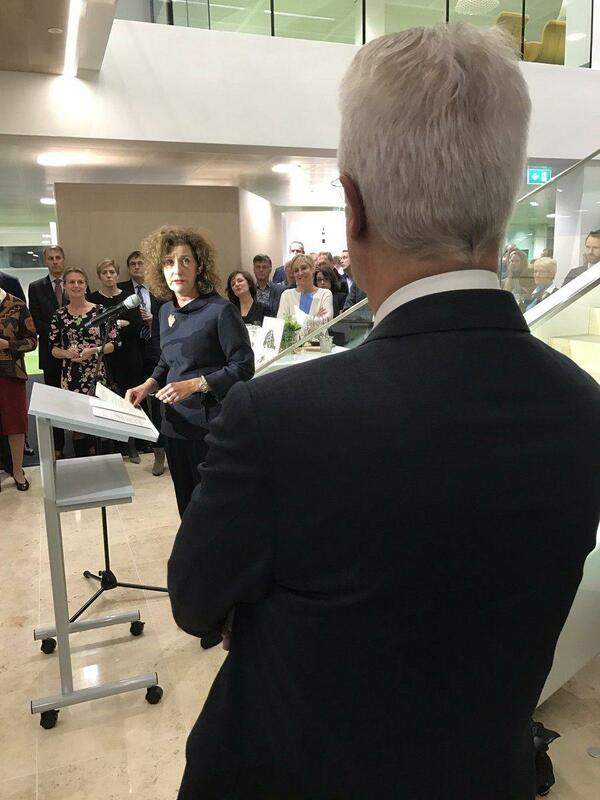 During the opening of the new ABN-AMRO office in The Hague, on 13 January 2017, Deputy Mayor Ingrid van Engelshoven announced the HSD Premium partnership of ABN-AMRO: ”We are happy to welcome ABN-AMRO in the community of HSD as a Premium Partner. ABN-AMRO is a large multinational organisation with a comprehensive Critical infrastructure. Innovation is needed to secure a trustworthy and reliable payment infrastructure. The strength of HSD is the cooperation between businesses, governments and knowledge institutions in the field of security. By sharing knowledge HSD can provide innovative ideas and debate on security challenges“. According to ABN-AMRO, "the value of partnering cannot be underestimated these days, particularly regarding critical societal issues like cyber security and financial economic crime. HSD provides for an essential public private platform to which ABN-AMRO will contribute by means of its expertise and experience on these complex matters. Our people look forward to those many interesting knowledge sessions and network meetings HSD provides to enable experts increase their knowledge, and critical infrastructure organisations to strengthen their resilience." As critical infrastructures are essential for the functioning of our society and economy, from the beginning of HSD this has been an important theme. Like many organisations, ABN-AMRO has an important critical infrastructure, which brings along key challenges in the field of protection and security. In order to secure the infrastructure it is important to stay up to date with the latest innovations in the field of security, fraude and cyber. HSD offers 'access to knowledge’, by bringing together the demand and solutions on security issues. Amongst the HSD network many start-ups have innovative ideas, products or services for these issues, and the network also gives the opportunity to align with Chief Information Security Officers (CISO’s) to discuss on the same level on the security issues they face.